If music sounds great in one room, you’ll enjoy it even more in in several. There are many choices and with changing technologies it is often difficult to decide what you need. At Totally Wired our aim with home systems is to keep it as simple as possible by focusing on what you want. We also have a strong belief in the quality of sound and picture achieved – because you should enjoy your home. Hence your system should be easy to use, have suitable styling and be excellent in sound and picture. We’ve built our own home so you can believe us when we say we know what it’s like and if you deal with us we’ll do our best to make your life easy. You can be sure of our experience in this arena. Our first multi–room system done in 1992 is still going well and continues to provide the owners with their home entertainment goals. Totally Wired is Dunedin based, although we have clients world-wide and whole house systems through out the country. If in our local area you are most welcome to contact us (phone 03 479-0444 or email), to arrange a time to meet. This wonderful phenomenon of how we listen to music has made for huge enhancements to daily living. The acquiring, sharing, storing and then playback of music is one of the best aspects of the current technological era we live in. Within your home you can now access music in a myriad of ways. You choose what works for you, and those in your home. Totally Wired, have the up to the minute knowledge of the best ways to embrace this form of music with affordable and easy to use options. Via built–in 'Airplay' or with Apple Airport devices you can use a number of devices for music listening such as the Monitpr Audio’s ASB, Cambridge Minx or NuForce components can provide the perfect, cost effective solution to getting great sound around the house; from your TV, DVD player, computer and iPod. Our article Making Wireless Work for You will answer many of your questions. Plus offer some elegant solutions utilizing some of the latest technology including making of the most of 'Apple' options. If you are building a new home or altering an existing one, you should consider building speakers in or at least allowing for them in the future. There are few greater improvements you can make to your lifestyle. Especially for the relatively low cost when compared to other parts of the building process. Well chosen built-in speakers can sound just great - often better than conventional speakers because you can optimise position and all the money in a build in speaker is in the components - not the cabinet and associated freighting costs. Monitor Audio are a leading specialist loudspeaker company from England best known for the high quality sound and finish of their domestic speakers. They have transferred this expertise to deliver a range of built in options that are musically superior but still represent great value for money. 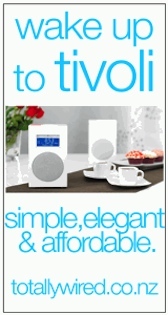 We’ve selected the best models in their range for musicallly enthusiastic listeners. We also recommend the Monitor Audio outdoor speakers. Why buy your inbuilt speakers from Totally Wired? If you are building speakers in, one thing is for certain and that is that you want to get it right first time because it’s not going to be a simple job to change things once they are in and the house or room is finished. So now is the time to plan and make sure you get the right speakers. We’ve been putting speakers in walls and ceilings for the sharp end of 20 years and have had some fantastic results. So we won’t compromise with products that we put in. This doesn’t have to translate into spending more - what it means is making more sensible choices, maybe having a couple less rooms (a Tivoli Radio or Geneva is often a better solution anyway), concentrating on quality rather than quantity. If you tell us how good a sound you want, we’ll select the most appropriate brand, type and model to deliver just that. It’s about having a conversation together and going over all the practical issues, considering the system on the other end, the type of music you enjoy and the logistics of putting it all together. This is what we do! With any built in speakers there are two critical cabling decisons to make - first being the quality of cable and then funnily enough, the length. Quality x metres = cost. Smart systems enable you to have amplifiers in the same room (or close to) speakers - this can greatly reduce the amount of cable required. Shorter cables sound better and save you money. There isn’t a huge price difference between the very cheapest low performance cables and something special like Kimber Kwik - at around just $11 a metre you get high quality copper, dual twisted pair construction and robust sheathing. It is far better at rejecting interference - just think about sitting listening to the hum of multiple halogen transformers breaking through into a cheaper cable. Kimber sounds better - the longer the run, the more obvious this becomes. So you can see the logic - talk to us about the complete design and we’ll save you money and give you better sound. Well designed lighting adds so much to the feel of a home. 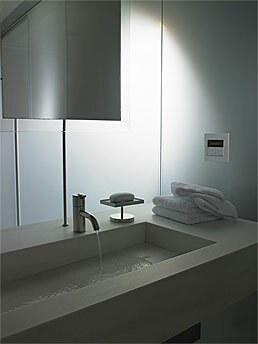 It is a simple, yet often an under estimated way of controlling the ambience of a room, albeit a whole house. Lutron are the market leaders in lighting control and dimming systems. A Lutron Grafik Eye is an intelligent high quality dimming controller ideal for open plan living areas or special rooms. With a Grafik Eye you change a number of light circuits with the touch of one button which you've set to reflect your lighting requirements for a particular activity such as dining or for settling down to watch a movie. Every one of our customers who have installed a Grafik Eye, including ourselves feel it is one of the best things they put in their new home.